Another great feature brought by WhatsApp. WhatsApp connects PC to it and bring the power to chat while you are working on your computer at home or in office. Some earlier rumors suggested a web client may be on its way and today, WhatsApp rolled out the web client for desktop. Many people find it quite disturnbing while they are working on their computers and the messages arriving on their phones distract them. But now, this problem is solved. 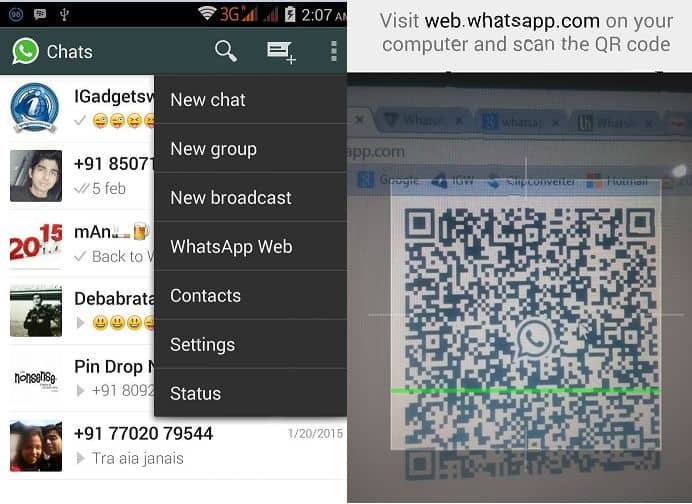 For the web client, WhatsApp has something similar to WeChat. And that is the QR code scanner log in system. You just need to head over to the web client page on Chrome and you will see a QR code. 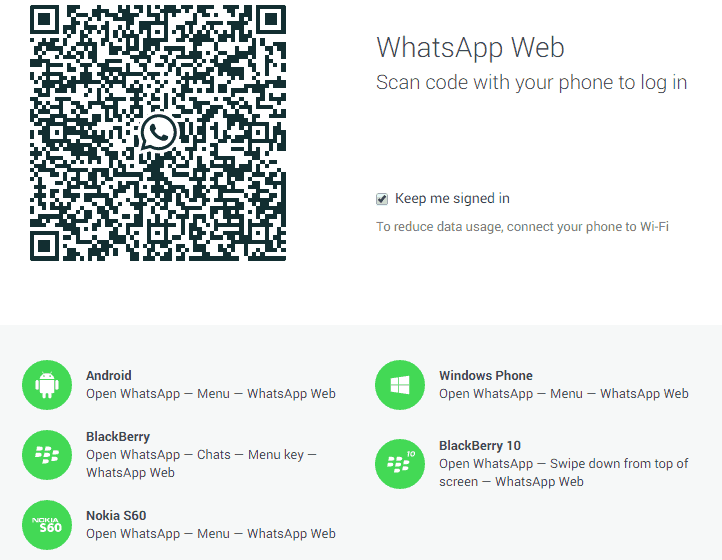 The process is simple just tap menu and select the ‘WhatsApp Web, this will open the QR code scanner, scan the code on the client page and you will be logged in instantly and the messages will show up right in your browser. So, this is a great initiative and this will surely be popular just like the app itself, though iPhone users will have to wait for this feature as they have stated that they have not been able to bring it to iPhone now due to Apple platform limitations, however they did dot mention how much time this feature will take to arrive for iPhones. John Koum, the WhatsApp founder stated this on his facebook also. one more thing, I have seen many people talking about this feature but no one of them mentioned one thing which is essential- security. You can see that there is an option to keep yourself signed in, and if you forget to log out, anyone can access your messages. 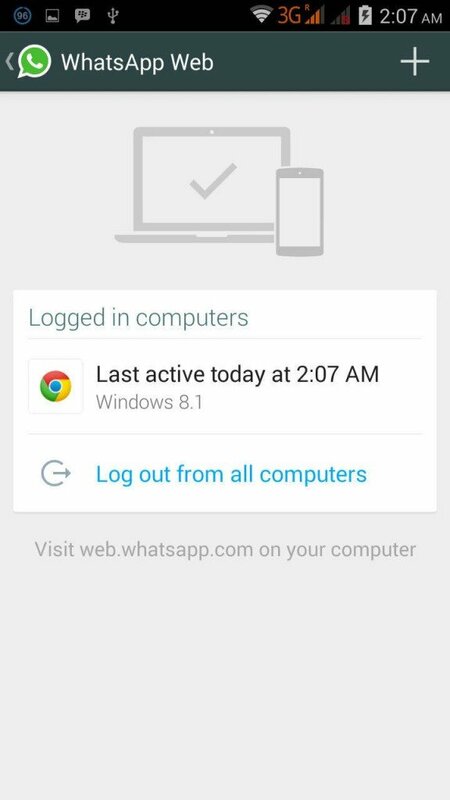 For that WhatsApp has also added the option to log out from phone in case you forget to do that from PC and remember that later. We need not mention that WhatsApp is now one of the most popular IM apps in the world with over 600 million users, and the company’s success has lighten up some rumours and discussions regarding its future plans. Some recent rumors also suggest that, they are bringing voice calling soon to the app, however we have not heard any official statement from the company regarding this matter. WhatsApp got into news yesterday also when users who were using the third party app WhatsApp Plus were banned for 24 hours, and the action from the company sparked anger among the users who were unable to use the service for a day.